Manchester United have suffered a triple injury blow, ahead of Wednesday’s International Champions Cup game against Real Madrid. 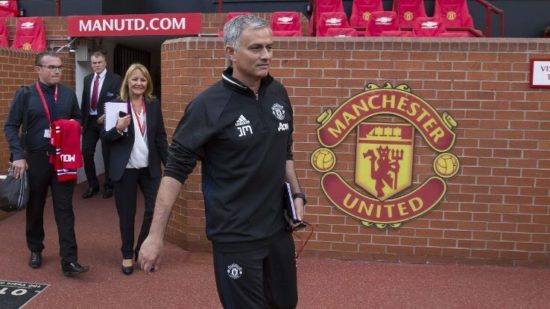 Even before this news, Jose Mourinho has cut a frustrated figure as most of our key players are not back for pre-season while the club has refused to add more signings to the team. Our problems haven’t been helped by a 4-1 defeat to bitter rivals, Liverpool on Saturday night in Ann Harbor in a game in which Nemanja Matic, Luke Shaw and Chris Smalling didn’t feature. The latter pair had played in the previous games and were expected to feature against the Scousers while Matic was supposed to have a part after just arriving from holiday following his World Cup exertions. Mourinho however has given updates on why the trio couldn’t play the game which, although only a pre-season match, some might say highlighted the disparity in the strength in depth of our team and that of Liverpool. Matic has undergone surgery for an abdominal pain and will be out for the start of the Premier League season while Mourinho was a tad irritated by absence of Shaw and Smalling, claiming he doesn’t know when they will be back. Speaking to reporters after the game, Mourinho said, “Smalling? I’ve no idea,” “Shaw? I’ve no idea. Matic had a surgery. Yes, of course [he is out for the start of the season]. “I don’t know,” Mourinho replied when asked when Matic would return. “He came from the World Cup with an injury and the time he had to rest in the holiday was not enough to resolve the problem” he added. It has to be said, we have not been convincing this pre-season so far, playing out draws against Club America, San Jose Earthquakes and AC Milan prior to the humiliation by Liverpool. Let’s hope we click into gear quickly against Leicester.